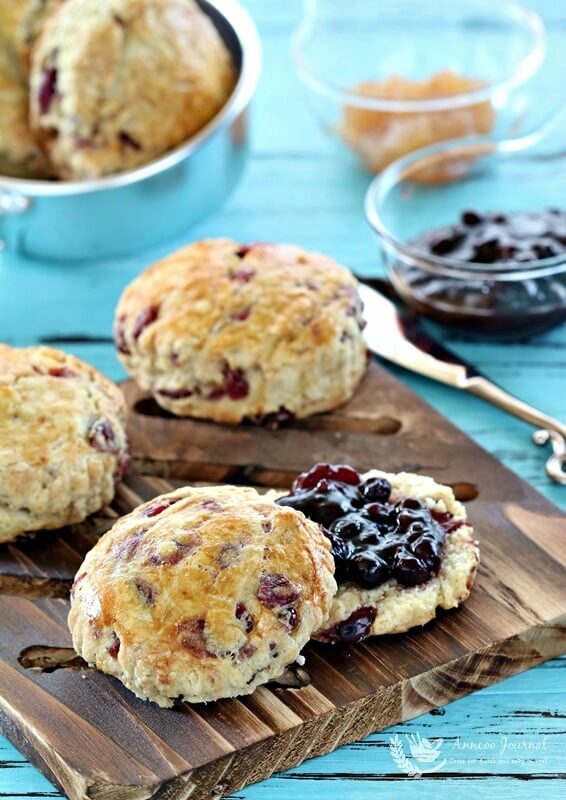 I found Crumbliest Scones when a member of the Facebook baking group asked me for a recipe. To be honest, I’ve never heard of this name before so I did a Google search and found that this recipe was actually created by Jamie Oliver. I followed the recipe to a T (with some minor changes) as it is easy and straightforward. I love the end result especially when the scones come out of the oven. They are light and crumbly with a hint of orange fragrance as I had grated some orange zest into the flour before mixing it into a dough. 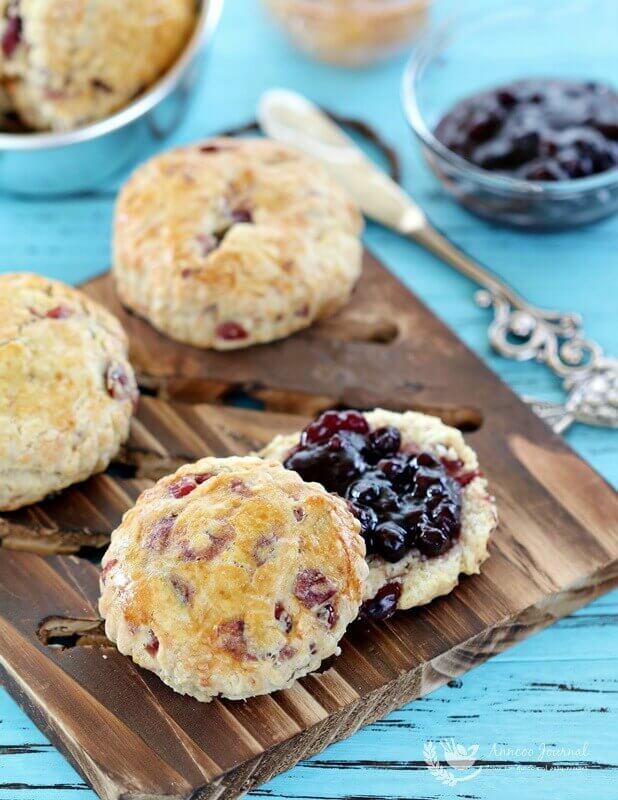 The scones are best served with clotted cream and jam with English tea. Put the dried fruit into a bowl and pour over just enough orange juice to cover and set aside for 2 hours. Put butter, flour, baking powder, sugar, orange zest and ¼ tsp salt into a mixing bowl and rub the butter and flour mixture together till crumbly. Sprinkle over some flour, cover the bowl with cling film and pop it into the fridge for 15 minutes. Roll the dough out on a lightly floured surface until it's about 2-3 cm thick. With a 6cm round cutter, cut out circles. 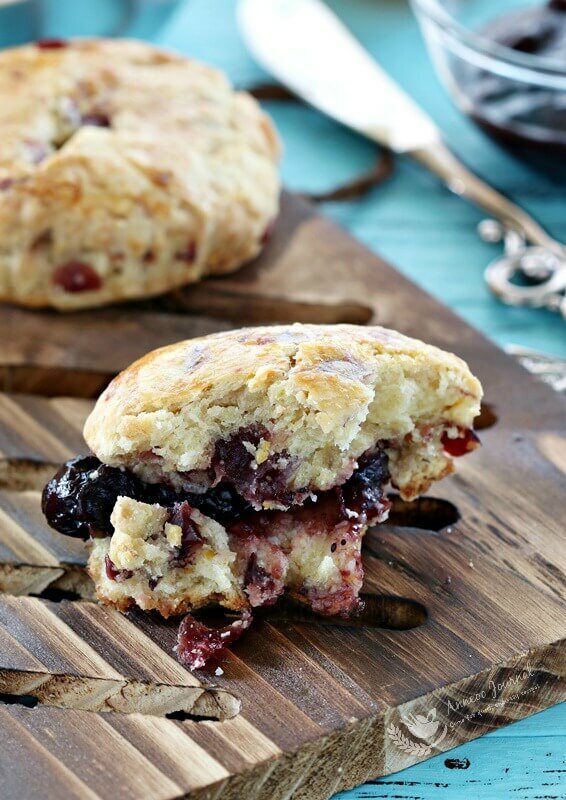 Brush the top of each scone with beaten egg and bake in the oven for 12-15 minutes, or until golden. 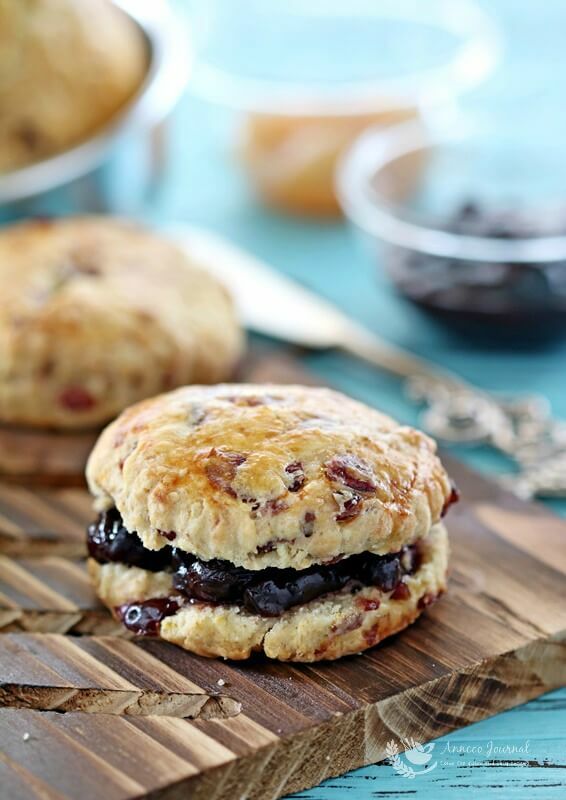 I’d love a bite of this scone…. can imagine the taste when my teeth sinks into the scone and the jam, Yum! I love your photoes Ann 🙂 still havent tried making scones… should give it a go soon. These look delicious!! They look so good with the homemade berry jam, Ann. Ann, your recipes always the most impressive because of the very illustrative and comprehensive steps by which you show readers unselfishly how to cook the dish. Ann, your scones looks wonderful! Hmmm…I have yet to bake or even eat a scone. LOL! Ann they look delicious. I made some blueberry jam a few weeks ago and so I must make these to go with it! WOW Lyn! I love blueberry jam. Yours must be very yummy!